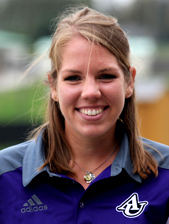 With a strong passion for yoga and mindfulness and my current position as the Coach for Asbury University’s Women’s Lacrosse Team, I aspire to integrate these desires into the whole of my career. My primary focus is to help student athletes overcome mental obstacles through self improvement and awareness. Despite graduating from UK with a B.S. in Animal Science, I have narrowed my career to focus on Sports Psychology.